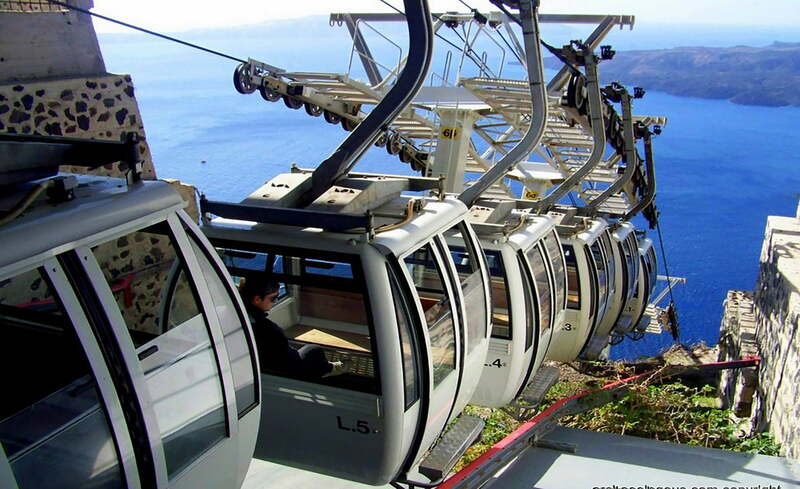 During this exciting tour and in the company of our expert guide you will understand the “big picture” of Santorini. This luxury tour is about offering fun to you as you explore the island’s geological features and delve into its long history which interlinks with the present in culture, religion, economy and daily life. 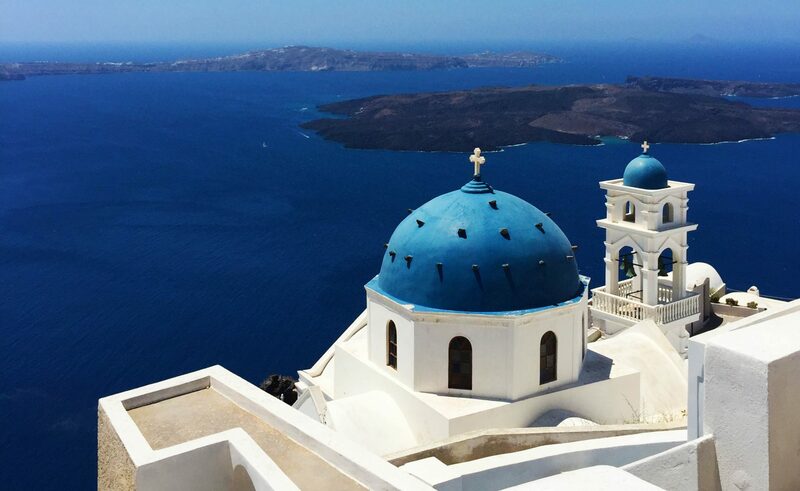 Visit the highlights of Santorini in one day! Taste the unique volcanic wines of Santorini, that you cannot find elsewhere in this world. Ready for the challenge? Black beach is unique!Don't miss out on it! Discover a 4,000 year-old town! Santorini’s highlights consist of awesome views, pictures, shopping, history, wine tasting, crowded squares and tranquil monasteries. 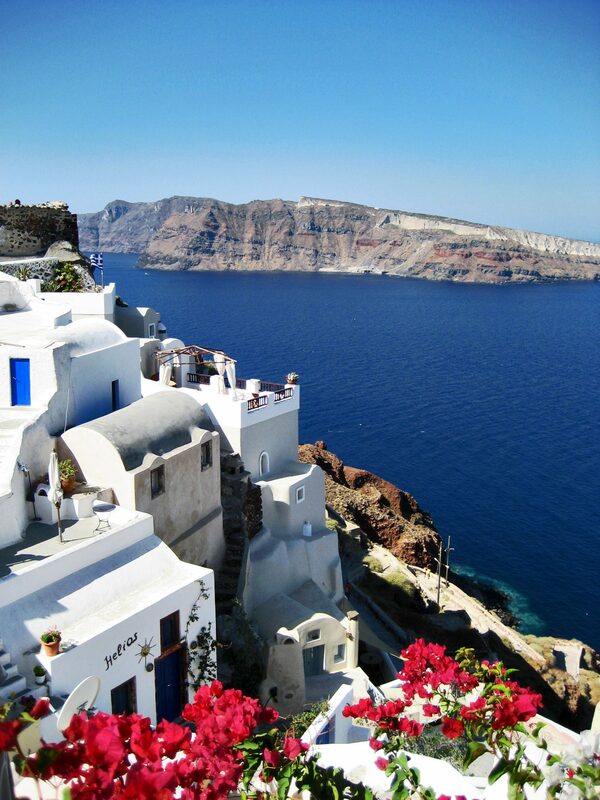 All these are blended in this complete exclusive tour of Santorini. 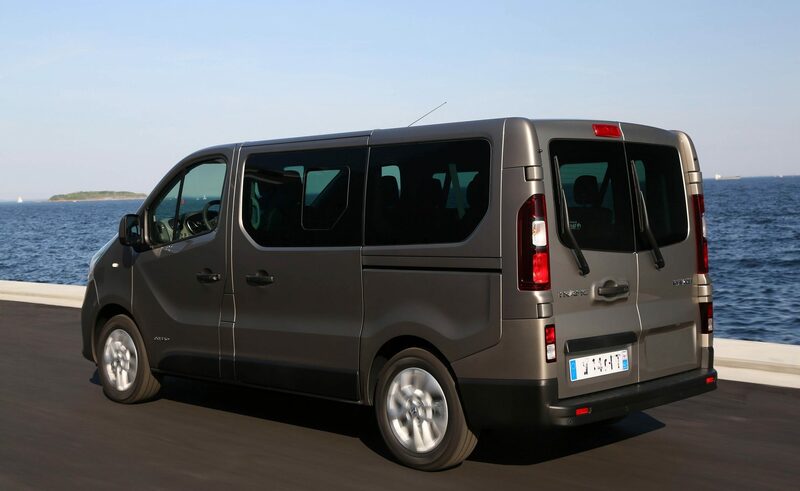 Therefore, join a private customized shore excursion to the most spectacular places of Santorini in our fully air-conditioned minivan. In addition, hop on and off the car as much as you want! 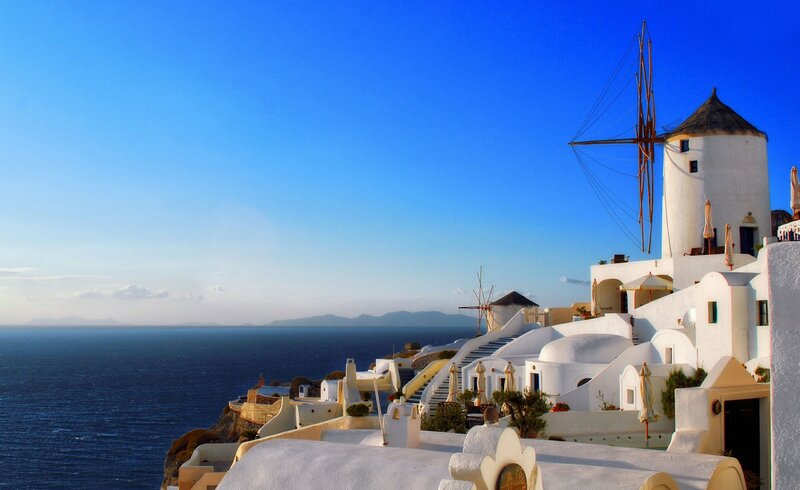 Firstly, follow the trail to the blue-domed village of Oia which cascades down a craggy hillside. Over there, admire the unique traditional architectural design with whitewashed houses and blue-domed churches which hang off soaring cliffs. 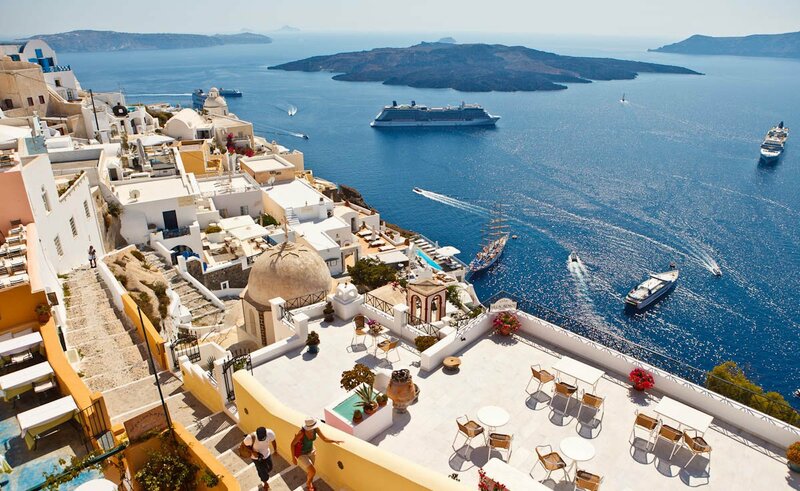 In fact, Oia is considered to be one of the most photographed places in the world! Next, our professional licensed local guide will take you to the highest peak of the island before he drives you to the cliffs’ awesome view. 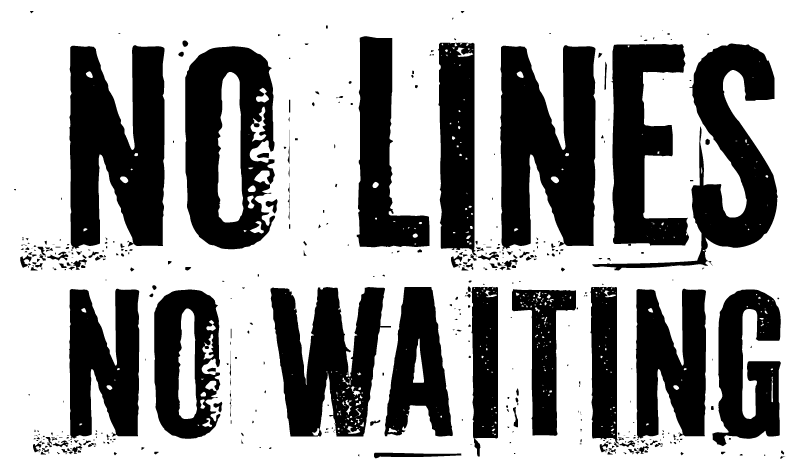 This is where you can take some of the best pictures. What’s more, our Santorini All-inclusive Shore Excursion includes an outing in a unique high-quality winery, where you can taste the local varieties of Assyrtiko or Mavrotragano. Truly, these varieties are almost extinguished from the face of earth, but they have managed to survive only here, on Santorini. 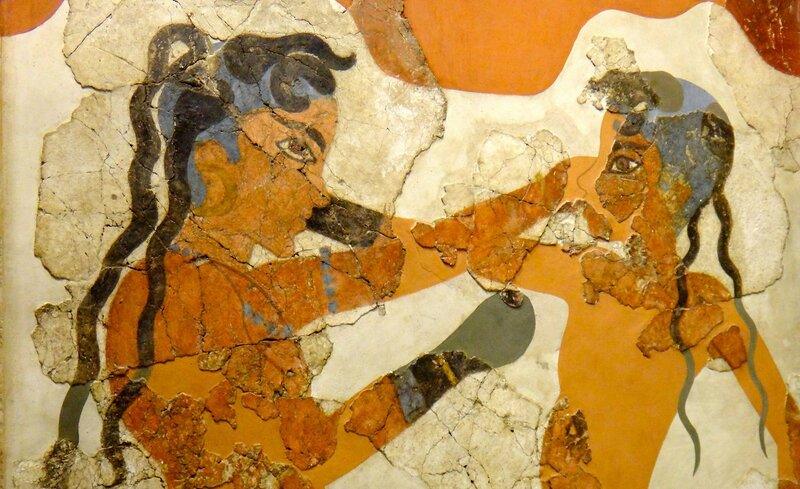 Later, our Santorini AlI inclusive Shore Excursion goes on to Akrotiri which is called “Pompeii” of the Aegean Sea. This archaeological site is one of the most important sites in Greece. 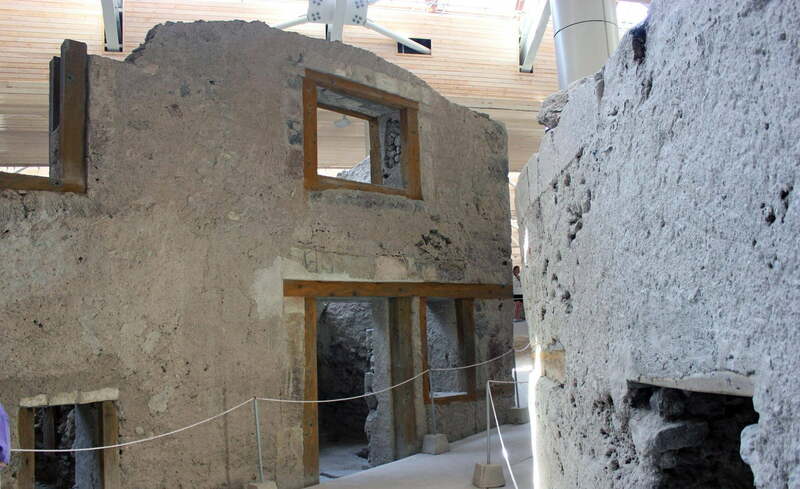 It is a prehistoric town which is preserved in excellent condition by volcanic ash and visitors can walk among two-storey houses. 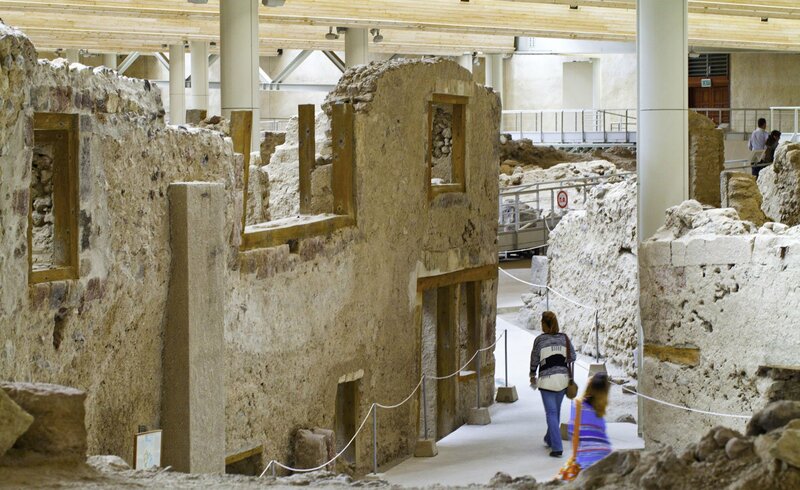 Besides, a bio-climatic shelter keeps a stable level of temperature and humidity which makes our visit to Akrotiri a unique experience. Then, your lunch is included in a handpicked restaurant. 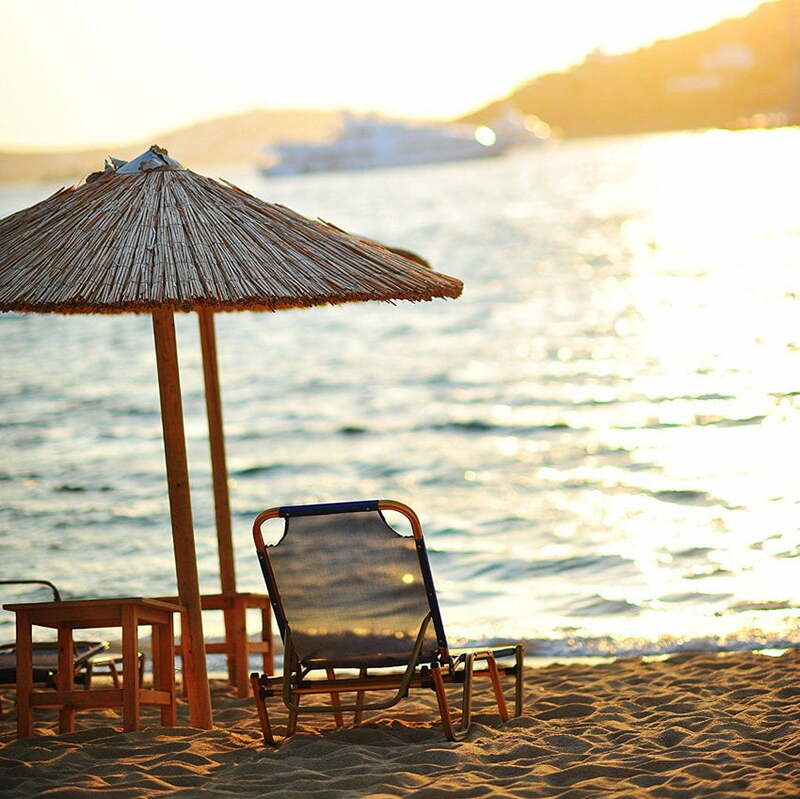 There, enjoy original Greek flavors together with a great view of the glittering waters of the Aegean sea. 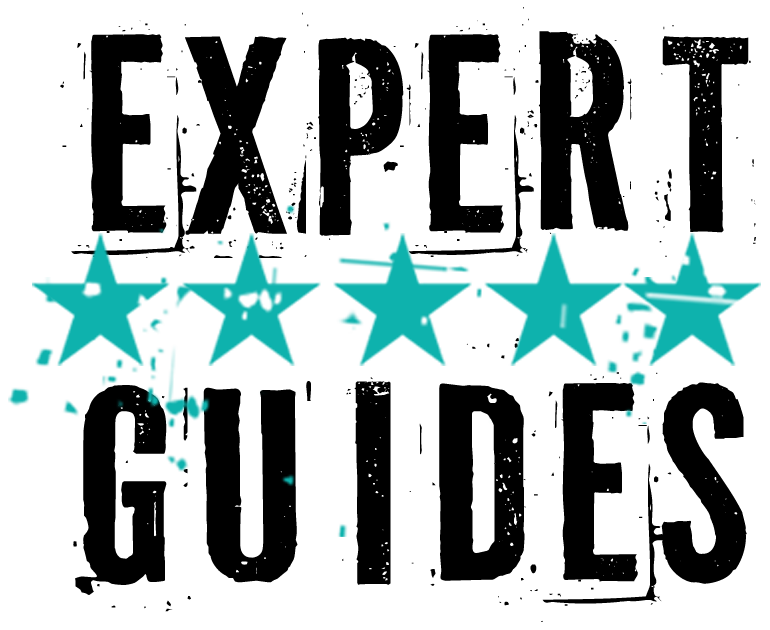 Don’t forget to ask for your guide’s advice and choose the best Greek lunch for you. 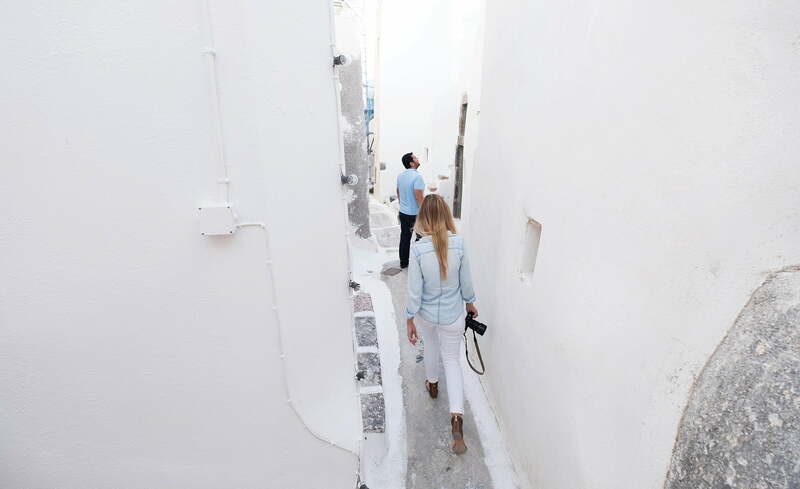 During our day tour, visit some hidden corners of Santorini. 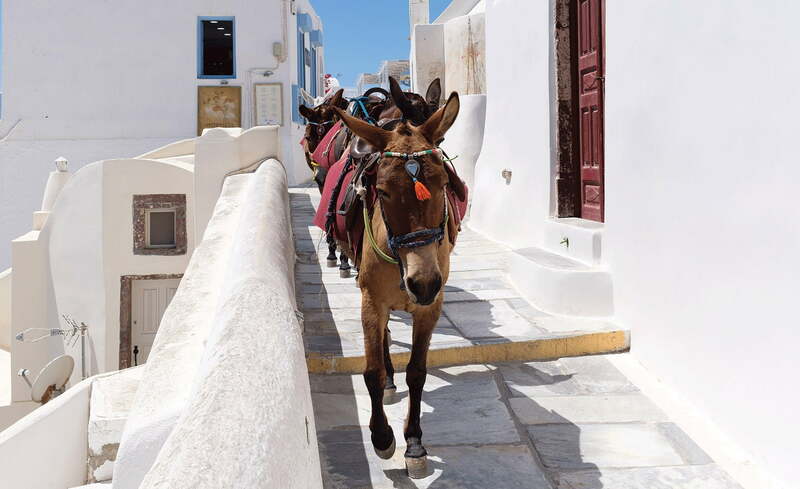 Seize the opportunity to watch how the locals live and learn about the special microclimate of Santorini and its specific flora. Finally, our Santorini private shore excursion concludes at Santorini’s port.